Experimentation best describes my way of working: I love to play with paint, ink, paper and a variety of marking tools. I am drawn to the natural world for my images: birds, fish, plants, insects. 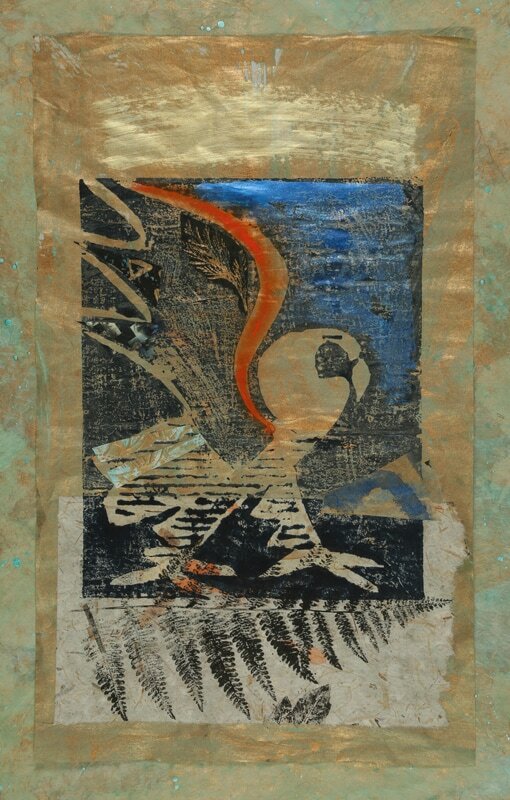 I make mixed media/collage paintings, relief prints, monoprints, and hand block printed notecards. DIRECTIONS: From the n.: About 8 m. s. of Coupeville, turn right onto Ledgewood Beach Dr. At the end of the road, turn right onto Fircrest. Then take the first right onto Alderwood. Turn left almost immediately onto Cedarcrest. Last house on the right. From the s.: About 2 m. n. of Greenbank, turn left onto Ledgewood Beach Drive. Same directions (above) apply.